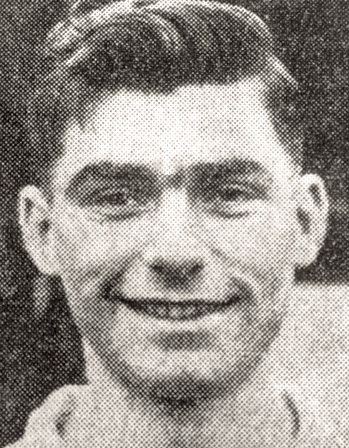 John signed for Tottenham Hotspur as a 17-year-old after impressing in a match between Tottenham Juniors and a South Wales XI on April 1st 1950. He was then almost immediately called up for his National Service in the RAF. John was allowed to go 'on-loan' to Wycombe Wanderers - for whom he played for two seasons. At the end of his time in the RAF (and at Wycombe) he was picked up by Barnsley where he was a reserve team regular. 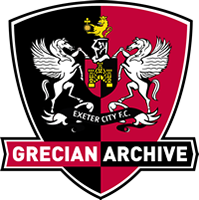 He signed for Exeter City in July 1954 on a free transfer and made the first of his 144 league outings for the Grecians against Norwich City at Carrow Road in a Third Division South fixture on 15th September of that year. 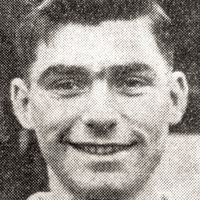 John also netted a total of 18 league goals for Exeter. He really established himself in the City starting line up in 1955-56 and played in 40 league matches, scoring eight times, although he did ask for a transfer at one stage in November 1955. But he did even better in 1956-57, being an ever present as City endured a poor season and ended up having to apply for re-election to the Football League. 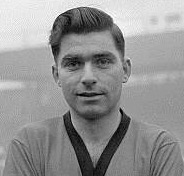 With the City team completely transformed in 1958-59, which ended with them just missing out on promotion, John found himself mainly in the reserves and in October 1958 he asked to go on the transfer list. Torquay United made an offer of £1,250, but it was turned down by the player. He was eventually transferred to Oldham Athletic in December 1958, the Latics having their initial offer for the player rejected. He once again linked up with his former Exeter boss, Norman Dodgin, who was by then in charge of the Boundary Park club. The deal which took John to Oldham was a cash plus player exchange one, with the Grecians paying £2,000 to sign Jimmy Thompson who moved to St James’ Park. John made 32 league outings for Oldham, scoring five goals, before dropping into non-league football with Wycombe Wanderers. He signed for Margate in the summer of 1960, but unfortunately suffered a string of injuries in his first season with the club, and then sustaining a broken leg in an FA Cup second round replay against Notts County in November 1961. More misfortune struck, as John regained fitness, only to break a leg again in a Southern League fixture at Hinckley in August 1962. Determined to make another comeback, he did just that and Ray stayed at Margate until the end of the 1963-64 season. 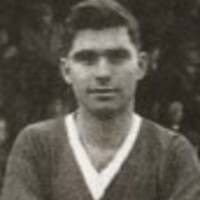 John then spent the 1964-65 and 1965-66 seasons playing for Sittingbourne, before returning to Margate in the summer of 1966 to become player-manage of their reserve team. In February 1973 he was back at Margate for a third time as he was appointed firstly as their scout, then becoming the reserve team manager for the 1973-74, a post he held for three seasons until the second team was scrapped for financial reasons. He continued to live in the town of Margate and was a keen golf player. Raymond John died in July 2009.